A few weeks ago, my wonderful mother pointed out this great quote from Jo Oz. It goes a little something like this. This applies to all industries and across so many different landscapes. For aspiring #sportsbiz professionals, though, it’s a great quote to live by as well — and it sparked this blog post. What are you doing when the cameras are off, so to speak? How are you going about your work week? Is there a purpose for each hour? Or is there some wasted time that you could better use? Below is a list of five ways young #sportsbiz professionals can better use 30 minutes of their day. Enjoy. Twitter chats are perhaps the easiest form of networking and learning for those individuals interested in #sportsbiz. Don’t know what a twitter chat entails? Read this to find out. There are chats centering around topics in sports law, public relations, ticket sales, sports business, and more. Typically, the conversations last about an hour, so stay for the entire 60 minutes or just drop in to add your two cents. You can even just follow the dialogue through a specific hashtag (i.e. #sbchat — sports business) without offering any tweets of your own. Gist: Engage with tweeps. Showcase your intellect around a particular topic. Network with industry professionals and students. LinkedIn is one of the fifteen most popular websites in the entire world. That shouldn’t come as a shock to you, considering there are roughly 200 million members on the social networking site. Maybe you have a stale profile with literally no information? Or maybe you’ve failed to create an account altogether? Either way, it’s time to set aside some time during your work week to revamp your page, highlight your areas of expertise, and ask for colleagues’ recommendations. Gist: Update your profile, and update it often. Connect with industry professionals and follow companies that you’re interested in. Remember: a stale profile is a worthless profile. 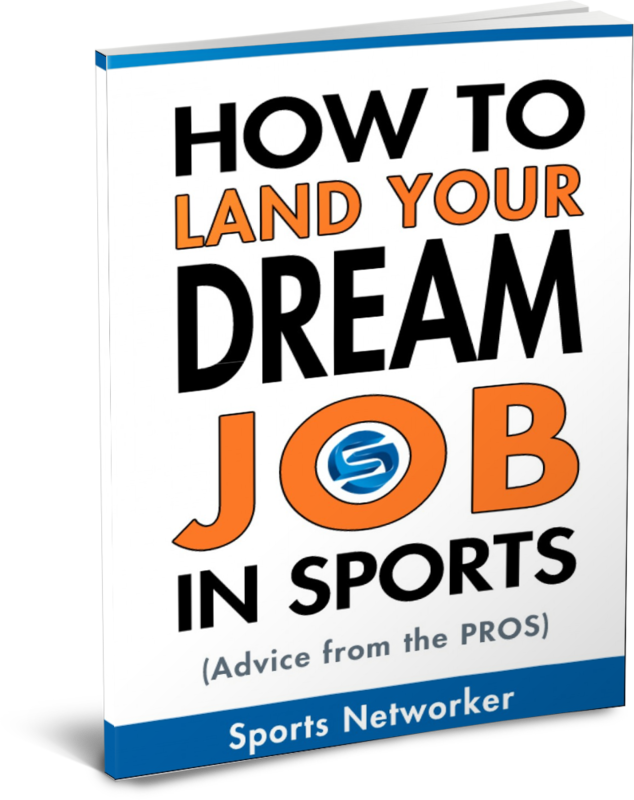 Reading might be the best thing you can do to learn about a particular niche within the sports industry. If you’re interested in sports marketing, read a sports marketing blog, or two, or 10, everyday. Invest time in the sports business areas that you’re interested in. Here are a few sports blogs to get you started. 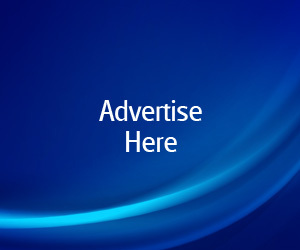 SportsAgentBlog.com is a great resource for aspiring sports agents. SportsBusinessNow.com highlights the sponsorship, social media, and sales side of the sports world. The Migala Report offers a piece of advice everyday for revenue-generating concepts centered around sales and marketing. Gist: Find a few blogs that offer insight into the area you’re directly interested in, and stay up-to-date on the current trends and topics in the industry. As Michael Riley points out with his blog at WorkInSports.com, finding a few great mentors at the beginning of your career is essential for your development. The hard part, as Michael addresses, is that you’re going to have to seek these mentors out. Odds are, someone in your family does not work in sports, so you’ll have to find these two or three mentors on your own. I’d suggest taking to Twitter or possibly even LinkedIn and reaching out to a few people there. Once you get someone to be in your corner, Michael points out five questions you should ask them throughout your relationship. Enjoy his informative article here. Gist: Find 2-3 solid mentors, and stay in touch. Ask for advice, provide value, and be a constant learner of the industry. Obviously, this really goes without saying. 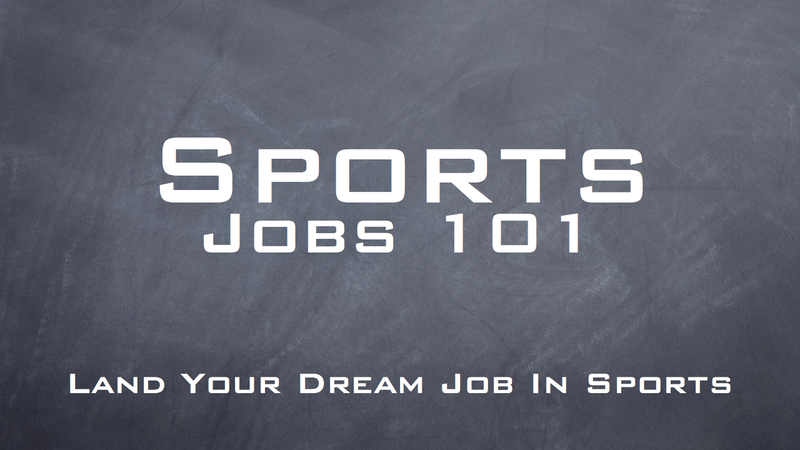 If you’re not applying for jobs and internships in the sports industry, you’re doing yourself a disservice. A few places to check out include WorkInSports.com along with LinkedIn. But, that doesn’t necessarily mean you have to spend all of your time on sports job boards. Beyond doing that, reach out to first degree connections that are already working in sports — possibly even family and friends, too. Connect with industry professionals at annual networking conferences. Attend sports career fairs like the ones being held by the Cleveland Cavaliers and Chicago Wolves in a few weeks. Gist: Look for internships/job postings on Twitter, LinkedIn, job boards, and through other mediums. More times than not, an opportunity won’t fall into your lap. Take action now. Comment below on other ideas you have for improving your productivity. You can like our page on Facebook and follow us on Twitter @SportsNetworker for more sports business resources. you can serve up some green tea hawaii top notch dishes. for mind and vascular health.